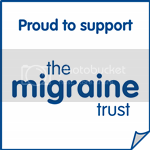 Migraine Awareness Week is drawing to a close and I think I will have to declare this Migraine Awareness Month in order to get through all the posts I had planned. So next week I'll start with Migraine Comfort Tips & Rituals! 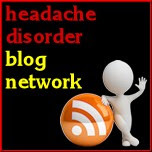 If you're a new reader, welcome to the world of Migraine Monologues, I look forward to hearing from you. Below is a 'meme' I filled in from the American National Invisible Chronic Illness Awareness Week Website, which starts on September 10th. It was much harder to do than I thought. So there. 4. The biggest adjustment I’ve had to make is: accepting that I have a chronic illness. I'm still not sure I have. 6. The hardest part about mornings are: waking up to find there's a dagger in the back of my head, i.e the migraine from last night hasn't left or a new one has arrived. 8. A gadget I couldn’t live without is: my iPad - because it enables me to listen to Audio Books when I can't sleep (see below.) Audio Books have saved my life. 9. The hardest part about nights are: Not being able to sleep due to pain, or not being able to sleep because I've been asleep all day with a migraine and now my sleep pattern will be a mess and this will probably trigger some more migraines.....sigh. 11. Regarding alternative treatments I: think you should try whatever you can to bring you comfort! I've tried acupuncture, reflexology, craniosacral therapy, massage, hypnotherapy & every vitamin and mineral supplement you can name. None has really helped me long term, though I'm permanently plugged into my TENS Unit and Physiotherapy has made the biggest difference to my pain levels and number of migraines. 12. If I had to choose between an invisible illness or visible I would choose: an invisible one. Although one of the hardest aspects of living with migraine is that it is largely 'invisible' at least I can hide it when I want to. I can't imagine what it would be like not to have that option. 13. Regarding working and career: Without your health you can't have a career. Plus life is too short to do something you hate every day, especially when migraine steals so much time anyway. Having had migraines my whole adult life my career has slightly veered off track but luckily being a Writer time is on my side. 14. People would be surprised to know: writing this made me cry. 15. The hardest thing to accept about my new reality has been: there isn't a pill to make it all go away. That the head pain is just one aspect of migraine. That my Mum is probably the only person who completely and utterly understands. 16. Something I never thought I could do with my illness that I did was: be patient. I'm not a patient person and weirdly migraines have forced me to be. Sometimes you just have to wait them out. 18. Something I really miss doing since I was diagnosed is: playing Tennis! Don't laugh. 19. It was really hard to have to give up: Doing whatever I wanted, whenever I wanted. Also dairy. Milkshakes are a food group. 20. A new hobby I have taken up since my diagnosis is: blogging! Hello Migraine Monologues. 21. If I could have one day of feeling normal again I would: not do any of my physio exercises first thing and last thing at night (without which I get a migraine) I'd play Tennis, have a milk shake, Windsurf and Waterski (my how sporty this day is!) write for hours in front of my computer (a trigger) get on an international flight to NYC (this is obviously a magical extra long special day) and party with my friends and not worry about alcohol/blood sugar/sleep triggers of any sort! But most importantly I'd wake up the next day migraine free. I wouldn't pay the price for my magical day. 22. My illness has taught me: that I'm a pretty damn tough. We migraineurs cope with a lot of pain, a lot of the time. 23. Want to know a secret? One thing people say that gets under my skin is: "are you better yet?" There is no cure for migraine. I will have them for the rest of my life, even though I fully intend to beat them to a pulp and eliminate all my triggers so I don't get attacks often. There is no cure. Yet. 24. But I love it when people: ask how I'm doing today and don't dismiss me as a neurotic hypochondriac. Can you tell I'm a bit paranoid about being thought a neurotic hypochondriac? 26. When someone is diagnosed I’d like to tell them: You are NOT alone. There is so much that can be done so don't you dare give up hope, keep fighting and learn as much as you can about YOUR migraine. I also tell them to read my blog, obviously. 27. Something that has surprised me about living with an illness is: that it hasn't gone away. My migraines came on so suddenly in June 1999 I simply assumed they'd disappear in a similar manner. 28. The nicest thing someone did for me when I wasn’t feeling well was: read out loud to me. When I have a three day mega migraine my Dad comes and reads to me. It's a very special, lovely act. 29. I’m involved with Invisible Illness Week because: I have an invisible illness and I had to fight for the right treatment from Doctors because there is not nearly enough education and research done into this disabling neurological condition. 30. The fact that you read this list makes me feel: a bit embarrassed but rather grateful. Gush. Why don't you have a go at filling in the Meme? I can post it here, or you can send it to friends and family who might not understand what living with migraine is really like. Here is the fabulous Skulls and Ponies Meme. I totally get the asking how you are without thinking your a crazy hypochondriac thing, someone asked me that today and i was thinking the same thing, then read this! Random! Doing tons better on the gabapentin. How are you? Thank you for this! I aging to show this to my husband and hopes he will read I! I have between 20 and 30 a month and I'm still trying to find my triggers!thanks again!